At UFC 200 on July 9, Brock Lesnar makes his return to the Octagon to face Mark Hunt. It’s an event already producing a deafening buzz around the MMA world, and it’s one almost as loud as the one in the MGM Grand Garden Arena on July 3, 2010, when Lesnar scored the most spectacular win of his career over Shane Carwin. 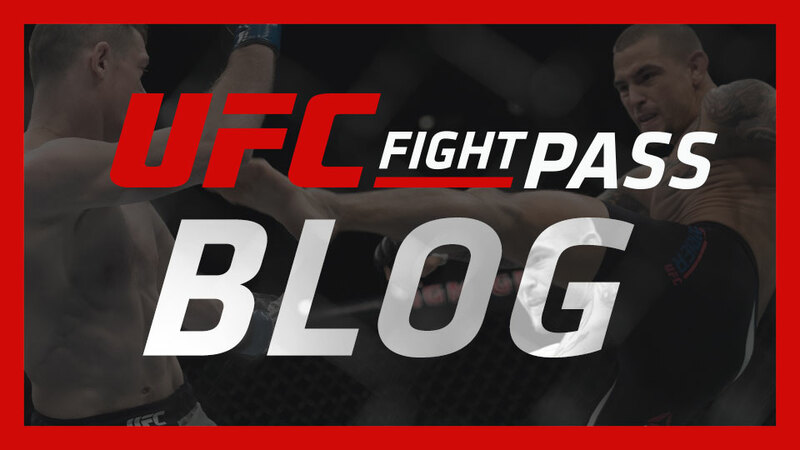 Here’s how we saw it that night, and as soon as you’re finished reading, head to UFC FIGHT PASS to watch this bout in all its glory. For a few minutes in the first round of the UFC 116 main event at the MGM Grand Garden Arena Saturday night, it looked like the heavy hands of Shane Carwin were going to forcibly remove the UFC heavyweight title from the grasp of Brock Lesnar. But with an amazing show of heart and resilience, and a chin of steel, Lesnar survived the first round and then closed the show in the second with a submission victory that kept the belt around the waist of the premier heavyweight in the game today. At the bell, Carwin and Lesnar circled each other warily, Lesnar shooting out a couple jabs that fell short. As the champion moved closer, Carwin scored with a short right hand and Lesnar shot for a takedown that was turned away. In an ensuing exchange, Carwin rocked Lesnar with an uppercut and sent him sprawling across the Octagon. Carwin threw a series of unanswered blows, but wasn’t able to Finish Lesnar off. Lesnar briefly cleared his head and tried to score with a knee, but Carwin got his foe to the mat and again began teeing off. Lesnar, his face now bloodied from a cut over his left eye, amazingly didn’t give in to the increasing assault, doing just enough to keep referee Josh Rosenthal from stopping the fight. With less than two minutes left, Lesnar finally made his move and got back to his feet. This time, Lesnar’s knee landed hard as the two locked up against the fence, and though Carwin avoided a late takedown attempt, at the bell it looked like a brand new fight was about to begin. Lesnar smiled as the second round began and he touched gloves with Carwin at the bell. This time Lesnar made the move to get off first, and after a right hand didn’t do the trick, a takedown moments later did. Now in control on the mat, Lesnar locked in an arm triangle with a little over three minutes left. And though Carwin gallantly tried to break loose, he was eventually forced to tap at the 2:19 mark. “I thought I had enough space to breathe, but he sunk it in tight, and I was going out,” Carwin said. 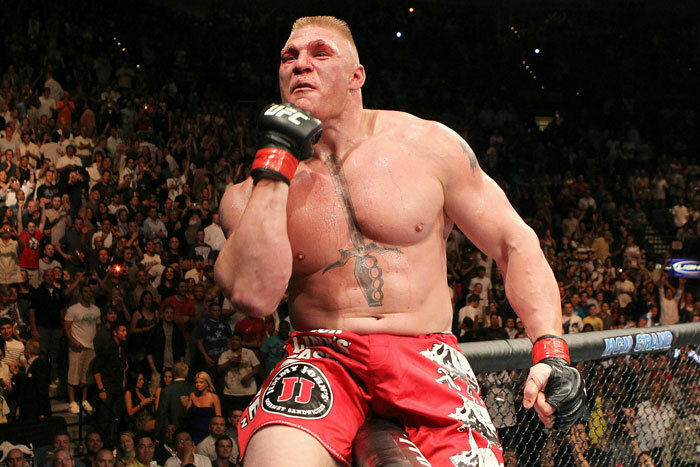 With the win, Lesnar improves to 5-1; Carwin falls to 12-1. FREE on UFC FIGHT PASS: Watch Brock Lesnar vs. Shane Carwin NOW!